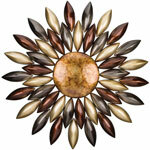 What is the quickest way to bring beautiful sunshine into your home and garden? 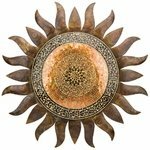 Our large collection of Sun Wall Art Decor pieces will do just that! 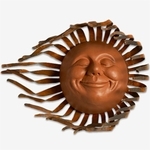 We can’t think of a better way to add whimsy and radiance to your outdoor oasis that with one of our spectacular sunface decor items! 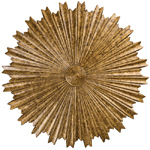 Each one unique like a piece of art, they come ready to hang and impress. 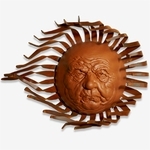 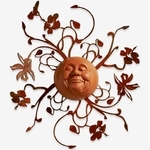 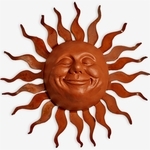 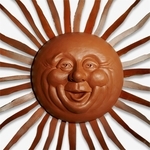 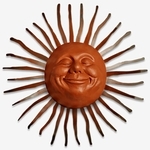 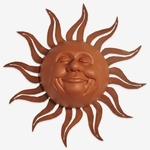 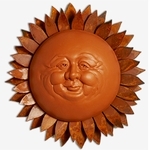 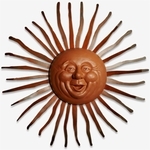 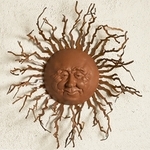 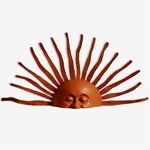 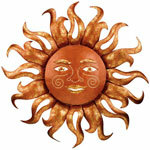 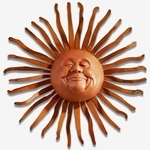 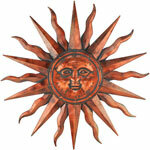 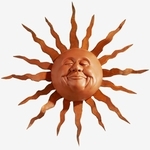 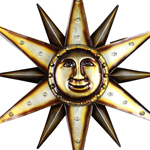 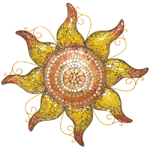 Our sun face decorations can be hung easily on any wall, fence, porch or patio – normally with a single nail or screw. 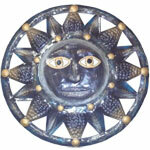 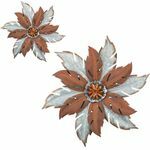 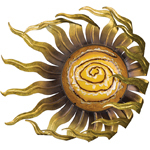 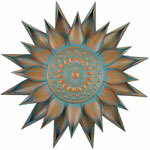 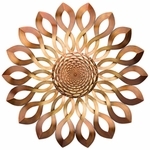 We have a great selection of metal suns in many styles to choose from. 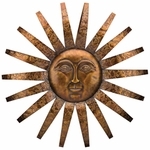 We have simple and classic suns, metal suns with faces on them, we have mosaic tiled suns, intricate cut suns, some Aztec looking suns, copper suns, solar suns and more. 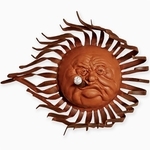 We even have a collection of suns with hysterical personalities – something for everyone! 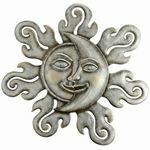 From the beginning of mankind, the Sun has been revered as a sacred symbol often associated with new beginnings, optimism and positivity. 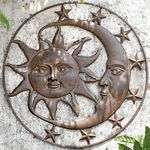 Whether you want to harness a bit of that sunny sensibility in your garden, backyard or patio or you just want to praise the glory of that brilliant hydrogen and helium sphere that helps your favorite plants flourish, our sun wall decorations are a great way to do it. 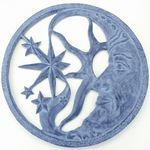 What better way to add life, whimsy and beautiful radiance to your outdoor paradise than with one of these renderings of one of the Milky Way’s brightest stars? 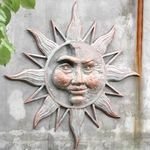 Ideal for both indoor and outdoor spaces including garages, patios and gardens, these outdoor sun face designs are made to withstand all weather elements. 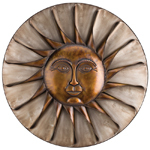 Hand-crafted from elegant and durable metals, cement, or tile, each unique sun accent has a personality of its own that will persist through dozens of seasons. 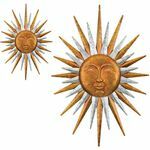 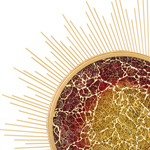 Our collection includes an incredible mixture of both contemporary and traditional sun designs, all of which celebrate the awe-inspiring properties of that big burning ball in the sky. 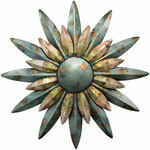 Our medley of unique metal sun accents includes options inspired by other earthly wonders. 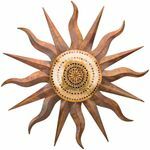 The Desert Sun Wall Decor is reminiscent of the Arizona desert landscape, while the Santa Fe Sun Wall Art hanging honors the culture of New Mexico’s indigenous people. 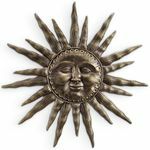 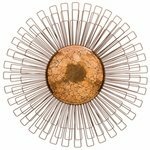 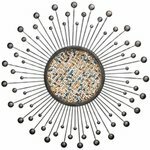 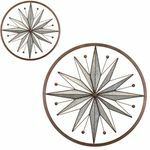 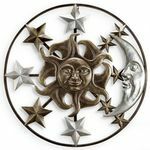 We also carry a metal sun decor selection that features moons, stars and swirls to help bring extreme warmth and well-being to your home. 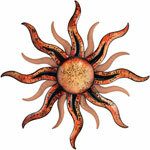 We have a number of magnificent suns with faces on them, and some with windblown rays that are very popular. 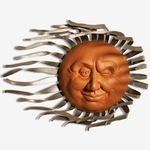 Recently we added a selection of cement suns that scream with personality, like the small bliss suns, the happy sun, or even the sun with a cigar in his mouth! 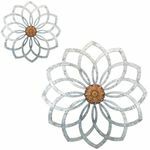 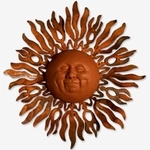 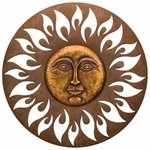 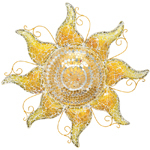 Additionally, we carry the perfect hand-painted sun sculptures for your colorful garden, including varieties that incorporate reflective beads or mosaic tiles, Romanesque design elements and royal detail work. 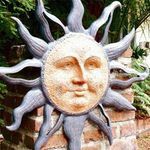 Take a look at our charming Solar Sun Garden Stake that harnesses the energy of the sun to provide brilliant nighttime illumination for a free-standing tribute to the sun. 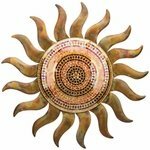 All of these sensational sunbursts are finished with UV stable paint to ensure that they maintain their vibrancy, even after basking in the sun season after season. 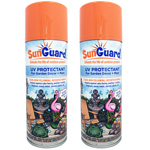 As with all our outdoor items, you can spray these metal suns with SunGuard UV Protectant to extend their lifespan. 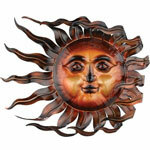 Find one or two that you like and bring one home today – here comes the Sun!